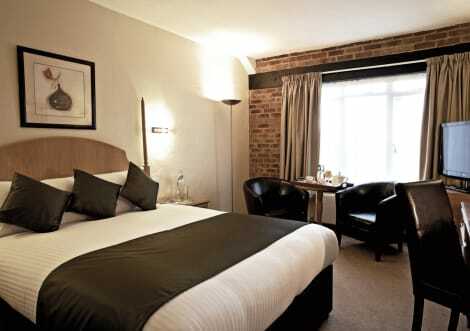 This charming 4 star hotel sits in tranquil countryside, a short drive from Gatwick Airport. Halfway between the city (London) and the seaside (Brighton), there are historic gardens and castles to explore nearby. You can choose between 2 onsite restaurants and there’s a bar, a pub; and leisure facilities that include a tennis court, golf course and pool. This award-winning 4-star hotel is a 10-minute drive from Gatwick Airport and offers direct bus transfers and long-term parking. Its facilities include a fully equipped gym, a sauna and steam room, massages and beauty treatments. The modern rooms feature interactive TVs with satellite channels, stylish granite bathrooms with heated mirrors, mini-fridges, and a choice of pillows. Set in a converted 16th-century farmhouse in 100 acres of peaceful woodland, Copthorne Hotel London Gatwick is ideally located for visitors travelling in or out of London, only five minutes by car from Gatwick Airport. 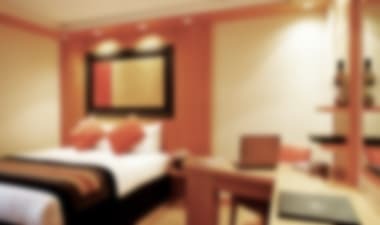 The elegantly furnished rooms come equipped with paid wi-fi access, satellite TV and en-suite bathrooms. Head to the nearby Acorns to take a dip in the pool or work up a sweat in the gym before returning for traditional British cuisine at Lion D’Or Restaurant. Our Pool and Sauna are closed till 30/04/2019 for refurbishment The Shuttle service is one way, from hotel to the Airport and is cost £5. There is not shuttle between Airport to the hotel. 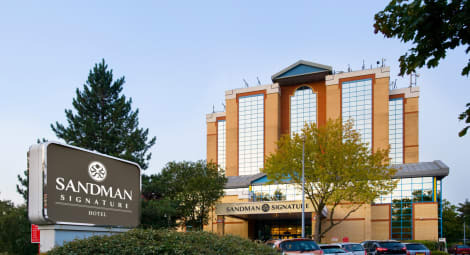 Close to London Gatwick and the centre of London, the 4-star Sandman Signature London Gatwick is a hotel packed with sleek features. Dine at the hotel’s Arts Grill, unwind in the trendy Club Bar or host a meeting in high-tech facilities, Why not get energised in the newly refurbished pool, Steam Room and fitness suite, or relax in thoughtfully designed rooms with air conditioning, free wi-fi and Freeview TV. 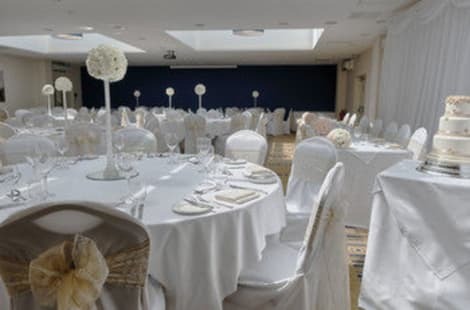 Set in a country house with 40 acres of lush gardens, Copthorne Hotel Effingham Gatwick offers luxury accommodation and 4-star service a short distance from Gatwick Airport. The elegant rooms are furnished with quintessential British style and come with paid wi-fi access, satellite TV and en-suite bathrooms. Play a round of golf with a 9-hole course, keep in shape at the fitness centre or on the tennis court, and then sample delicious British cuisine at the Terrace Restaurant and Lounge Bar. From December 1st 2015, there will be a charge for overnight parking of £2.00, additional long term parking will cost £7.00. The Sports Bar is open from 17:30hrs till Midnight. The Shuttle service is one way, from hotel to the Airport and is cost 5£. There is not shuttle between Airport to the hotel. 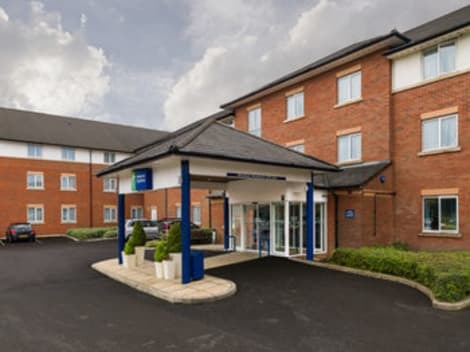 Convenient hotel near Gatwick Airport, with breakfast includedHoliday Inn Express® London Gatwick - Crawley hotel is less than a 15-minute drive from Gatwick Airport.The hotel is just off the M23 near Crawley town centre. It’s a short stroll to Three Bridges station for trains to London, Brighton and the Sussex coast. Catch a show at The Hawth theatre, a quick walk away, or wander into Crawley to browse the shops or grab a bite to eat at the County Mall. You can tee off at the nearby Tilgate Forest Golf Centre, or take the kids to spy otters and owls at Tilgate Nature Centre. Hever Castle, Anne Boleyn's childhood home, is a 30-minute drive, and Wakehurst Place country estate is even closer. Business guests are within easy reach of Manor Royal Business District, for meetings with Virgin Atlantic, CGG, Thales or Boeing. You can also host up to 25 people in the hotel's own conference room.At this hotel you can enjoy:- Free WiFi- All Day Dining menus- Express Start™ Breakfast included in the room rate- On-site parkingRooms include blackout curtains for a good night’s sleep. If you’re travelling with kids, you can choose a room with a sofa bed. Start the day with a hearty breakfast of scrambled eggs, baked beans and sausages. For lunch or dinner, our all day dining menu is available in our bar. An elegant Gatwick Airport hotel with a restaurant, conference centre and onsite parkingCrowne Plaza® London - Gatwick Airport hotel is 10 minutes by taxi from Gatwick Airport (LGW).Park, Stay & Go packages let you park at the hotel and catch your flight refreshed. The Gatwick Express and direct trains from nearby Crawley station whisk travellers into central London in half an hour. Our chic meeting spaces include private boardrooms and a gorgeous event suite with a foyer and a bar, so you can host receptions or dinners for up to 200 guests. Our Crowne Plaza Meetings Director can help take care of all the details. If you have time before a flight, the cinema and bowling alley at Crawley Leisure Park are just a short walk away.At this hotel you can enjoy:- 24-hour room service- A 24-hour Fitness Centre- Suites and Club Rooms with access to a private lounge- Family rooms with sofa beds for kidsOur comfortable bedrooms have free WiFi, USB chargers and satellite TV, and the Sleep Advantage® programme offers premium bedding and quiet zones so you won’t be disturbed. The Cube Restaurant serves delicious, locally sourced food for breakfast and dinner, and drinks and light meals are available all day in the trendy Bar 92. When you’re off duty, relax and enjoy cocktails with your colleagues on the heated outdoor terrace. 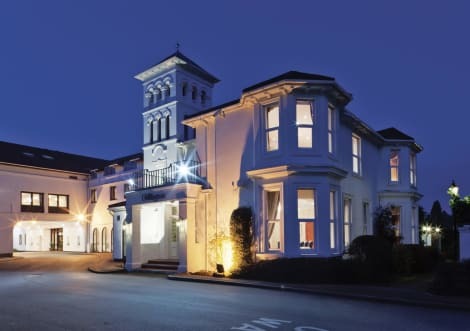 This award-winning 4-star hotel is 10 minutes’ drive from Gatwick Airport and offers direct bus transfers. It features spacious rooms. Each of the bright and modern rooms at the Arora Hotel Gatwick/Crawley include comfortable, large beds and an interactive TV with satellite channels. Rooms also include a stylish granite bathroom with heated mirror, a mini fridge, and a choice of pillows. The modern health and fitness suite includes a fully equipped gym, as well as a sauna and steam room. Relax Beauty Salon offers massages and a range of beauty treatments. Long-term parking is available at the hotel, and the hotel is located in the centre of Crawley. Crawley Railway Station is located next to the hotel and County Mall Shopping Centre is a 5-minute walk away. The Grill is a local restaurant celebrating the produce that Sussex and the surrounding counties are famed for. Morgan’s Pub shows live sports and serves hearty pub food. Make yourself at home in one of the 12 guestrooms featuring DVD players and flat-screen televisions. Complimentary wireless Internet access keeps you connected, and digital programming is available for your entertainment. Bathrooms have shower/tub combinations and hair dryers. Conveniences include coffee/tea makers, and irons/ironing boards can be requested. A stay at Da Vinci Guest House Gatwick places you in the heart of Crawley, within a 5-minute drive of Gatwick Aviation Museum and Ifield Golf Club. This family-friendly guesthouse is 8.4 mi (13.5 km) from Surrey Hills and 10.8 mi (17.3 km) from Queen Victoria Hospital. This 4-star hotel is surrounded by acres of tranquil garden, only a short drive from Gatwick Airport. There’s chance to experience both city and seaside life as the hotel sits between London and Brighton. Active types will love the tennis courts, health club and 9-hole golf course. 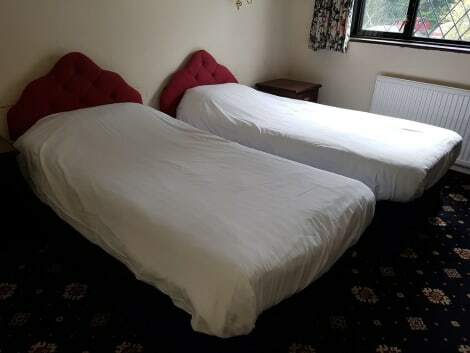 This 4-star hotel is found in Crawley, in the quiet area of Three Bridges, and just a few miles from Gatwick Airport, providing great transport links both by air and rail, with central London just half an hour away on the train. Every one of the hotel’s rooms has air conditioning and free wifi, as well as an en suite bathroom, and there is a gym and indoor pool on-site. Let your hair down with a spot of Go Kart racing at the nearby TeamSport track. Crawley, in West Sussex, makes a convenient starting point for visiting London and going abroad. It has its own attractions – the world marbles championship has been held here for over 80 years. An abundance of Crawley hotels makes it simple to stop over or spend a weekend. The town was once packed with coaching inns, and you'll still enjoy a lot of warm hospitality. With the airport a stone's throw away, both budget and luxury hotel options are easy to find. The town's closeness to Gatwick Airport is a distinct advantage. It takes around 15 minutes by car. Moka nightclub puts on special Priority Tuesdays, offering free entry and drinks deals to cabin crew. It's also just under an hour to central London from Crawley train station. In the other direction, the train goes to Bognor Regis and Portsmouth Harbour. Head to Southern Pursuits to have a go at quad biking, archery and other outdoor activities. There are also hovercrafts and off-road karting sessions if you want to make a day of it. The K2 is the town's leisure centre, with a 12-metre climbing wall and Olympic-sized competition-standard swimming pool. It houses two indoor bowls rinks, an athletics stadium, squash courts, a sauna, a martial arts room and a creche. At Tilgate Park and Nature Centre, you can see over 95 different species of animal. In winter, entry is free. The park has a fishing lake, bridleways for horse riding, a Tree Top Adventure course and a maze. Many of the main local activities and centres for kids and families are in nearby Winchester. For example, the Winchester Discovery Centre is a gallery, theatre and library in one. On the Winchester Treasure Trail, you might find a surprise during your walk past the cathedral and other points of interest. The 1.6-mile route is suited to kids aged six and over. Crawley has been a shopping hub for the local area since the 1940s. Many of the main shopping streets in town are pedestrianised. Near the station, the County Mall Shopping Centre has over 90 outlets and restaurants. Kids can have fun in the soft play area, and the food court has snacks and takeaway meals.